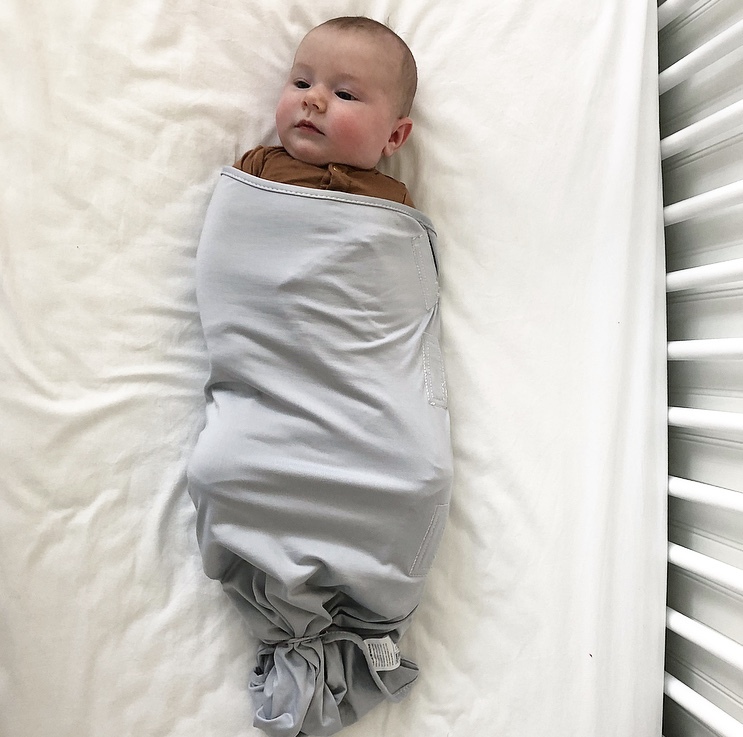 More and more research is being done on swaddling so I wanted to create a quick blog post about what I think is important to know and why we loved the Ollie Swaddle for our newborn. I wanted to cover a brief post on swaddling because I had a ton of questions about it as a new mom. It is becoming a somewhat controversial topic as more and more research is being done on swaddling. This is some information I have learned from when I was in the hospital with Winnie and from doing my own research online. So what is swaddling? It is wrapping your newborn in a somewhat tight blanket or swaddle to mimic the tight feeling of a mother’s womb. Since baby’s are so comfy and snug in their mama’s belly, people swaddle so their baby is cozy and may sleep longer stretches without flapping around and waking themselves up. Swaddling can be safe and effective for newborn babies, but there are important factors to keep in mind. 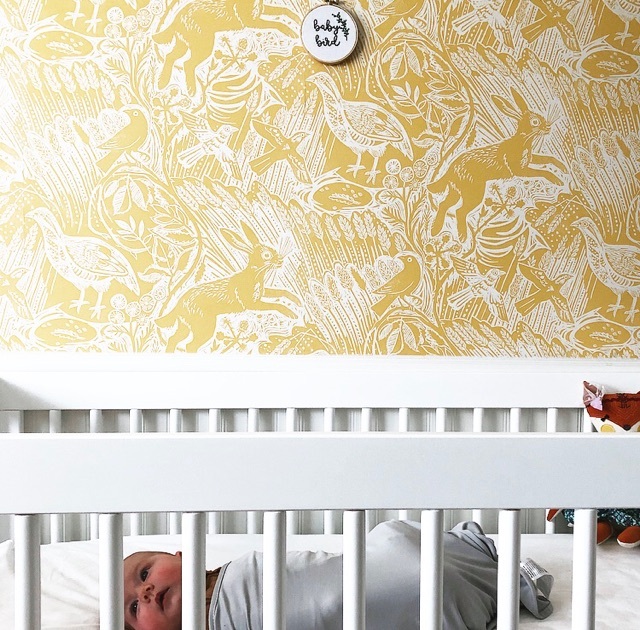 Research shows it is safest for babies to sleep on their backs. Only swaddle a baby who can not move and is sleeping on their back. Once a baby can roll over, it is no longer safe for their arms to be held down. Make sure the swaddle is loose enough around the legs that the baby has plenty of room to move their legs and hips. You do not want the babies legs to be “tied” down or held straight all night because it can damage their hip growth. You can see in the above pictures that Winnie still has plenty of room in her Ollie swaddle to froggy her legs out. It is safest to get a “swaddle suit” (like The Ollie Swaddle), rather than just a blanket. Hospitals in the US no longer swaddle babies in blankets, they use a velcro swaddle vest. This is why we love The Ollie Swaddle that Winnie is wearing in the above photos. A velcro swaddle is safest since there are no loose ends that the baby could get stuck on or suffocate on if it becomes loose in the night. 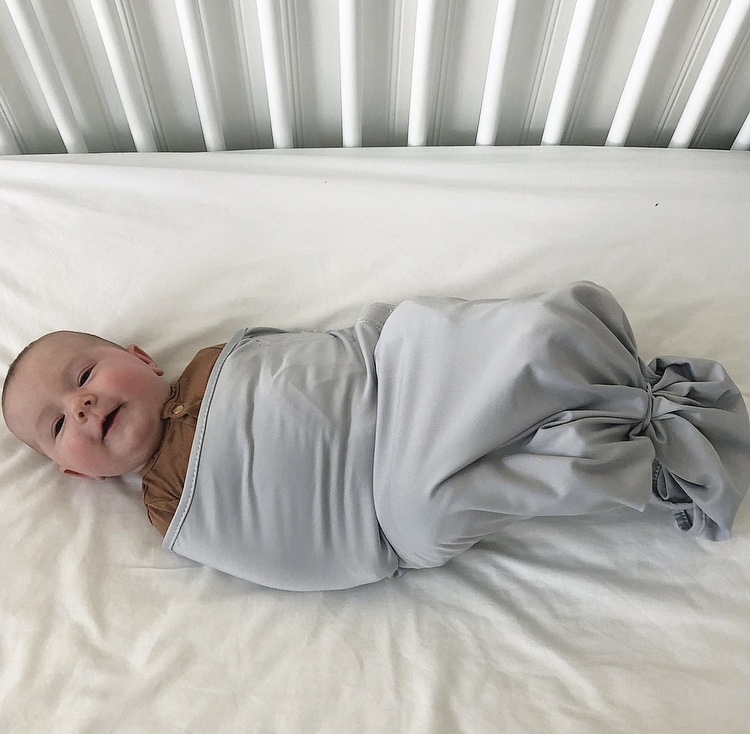 The Ollie Swaddle is breathable and made from a patented sweat wicking material. 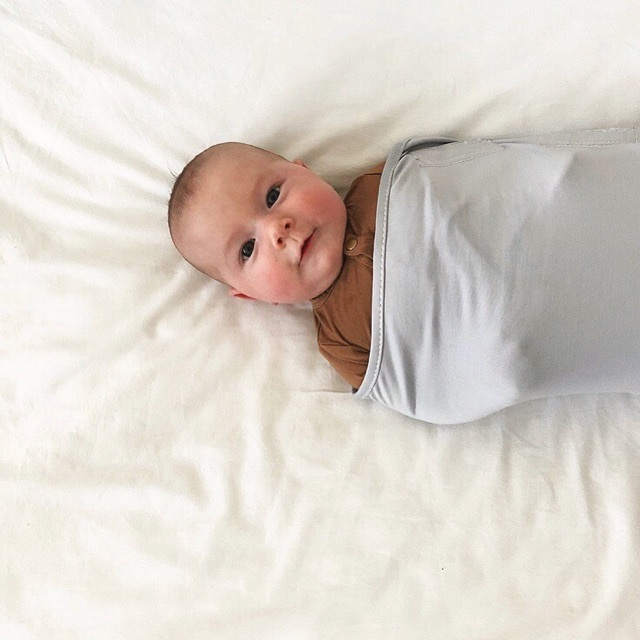 The swaddle is designed to wick any moisture away from the skin to keep baby warm and dry. At 2 months of age, we began to keep Winnie’s arms out of the swaddle so she can move more. I personally like to keep her swaddled because I know she is warmer all night without using loose blankets in the crib. We will eventually transition her into a sleep sack of some type. If you have any questions, never hestitate to call your pediatrician to ask about safe sleeping practices. If you have any questions about The Ollie Swaddle, check out their awesome website that has helpful information from doctors and doulas! I would love to hear about your swaddling journey so please comment if you would like to share!